Vice President Mike Pence made it clear today how the Trump administration hopes to win skeptical governors' support for the Senate health care bill: by promising them the freedom to run their health care programs the way they want. 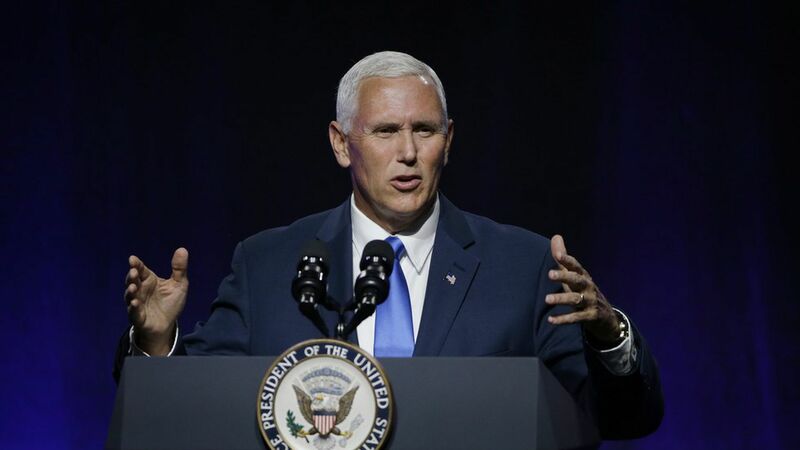 Pence's pitch: "If you take nothing else from what I say today, know that the Senate healthcare bill gives states the freedom to redesign your health insurance markets," Pence told the National Governors Association conference in Providence. "[S]tates across the country will have an unprecedented level of flexibility to reform Medicaid and bring better coverage, better care, and better outcomes to the most vulnerable in your states." One more thing: Gov. Terry McAuliffe, who introduced Pence, noted that the vice president actually expanded Medicaid when he was governor of Indiana — a major part of the Affordable Care Act, which the GOP is now trying to repeal. Pence acknowledged that, but said his experience showed him firsthand how difficult it is for a state to make changes under the ACA.